Nashville will be home to Amazon’s new executive operations center -- bringing 5,000 jobs to the area and making it the largest jobs announcement in Tennessee's history. Amazon made the announcement Tuesday morning, saying the location would be its new Operations Center of Excellence and be the company's headquarters for its logistics group. Amazon has chosen New York City and Northern Virginia to split duty as its second headquarters. 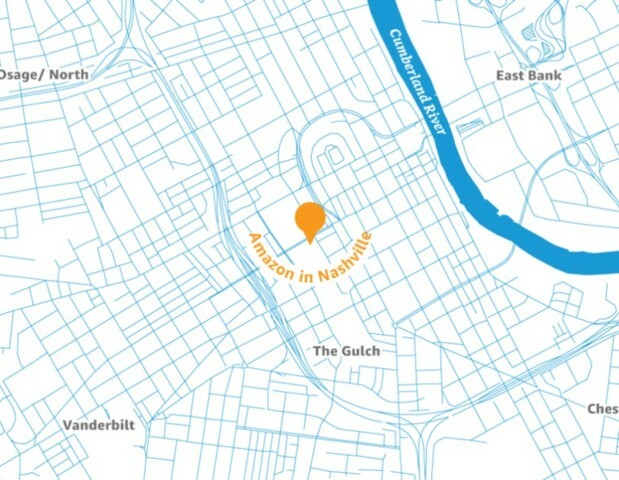 Nashville will serve as the company’s Retail Operations division, which will be located in downtown just north of The Gulch in the Nashville Yards development -- a billion dollar project between Church Street and West End. The one million square foot office space will house the tech and management functions of the Retail Operations division, including customer fulfillment, customer service, transportation, and supply chain, amongst others. “Amazon has spent the past year searching the nation for the best possible locations to expand and it chose Tennessee because of our business-friendly policies, low taxes and skilled workforce," Governor Bill Haslam said in a statement. The company is making an estimated $623 million capital investment over seven years and creating 5,000 net new full-time jobs with an average pay of $76.32 an hour, which is more than $150,000 a year. Currently, Amazon employs approximately 2,500 people in the Nashville region across five fulfillment and sortation centers. This operations center is projected to create more than 13,000 jobs for Tennessee’s workforce.